Welcome to 1770 Beach Accommodation. 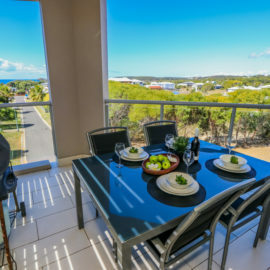 We are a 100% locally owned and operated Property Management Business specialising in the finest selection of Seventeen Seventy and Agnes Water holiday accommodation homes, permanent rental properties and properties for sale. 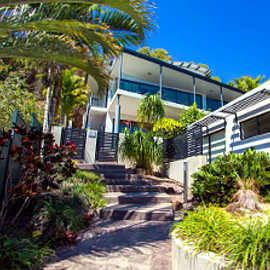 1770 Beach Accommodation is personally operated by the owners/licencee Gavin Ashton and Kim Skinner. This ensures that only the best attention is given to you in choosing your holiday home. 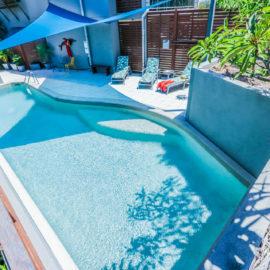 Whether you select a beach holiday house in Agnes Water, a secluded retreat at Sunrise or Rocky Point, or a fabulous Bayside Villa overlooking the waters of Bustard Bay at Seventeen Seventy you will find that we maintain each property to the highest of standards. At 1770 Beach Accommodation you will also be delighted by the friendly personalised service, care and attention to detail. We believe that our customers deserve only the best. We also understand that everyone’s needs are different; we offer a wide variety of property types including apartments or units, beach houses, villas or cottages, luxurious penthouses or bayside fishing shacks. Many are pet friendly, provide boat parking, are private retreats or family friendly. If you are looking for premium holiday accommodation that is clean, comfortable & fully self contained, or a permanent rental property or seeking to buy, you’ll find the best selection of properties in the region here in our website. For more general information please also visit our About Us page. "Great part of the world! What a lovely place to spend time with the kids & family. House is fantastic, views awesome, saw whales too. We will be back. Pool tennis court & Kabana are and added bonus. Well done." -- Kevin, Fiona, Ellyse & Zoe.